We are right under the Mozaic parking garage. Metered street parking is also available. We are located on the same block as the Uptown Metro Transit Station. At this time, we don't have any special events planned. Stay tuned for future events! Unfortunately, we do not cater. We do take-out orders, and can typically accommodate larger ones if they're called in ahead of time. Delivery only available through third-party services (i.e. BiteSquad, Door Dash). 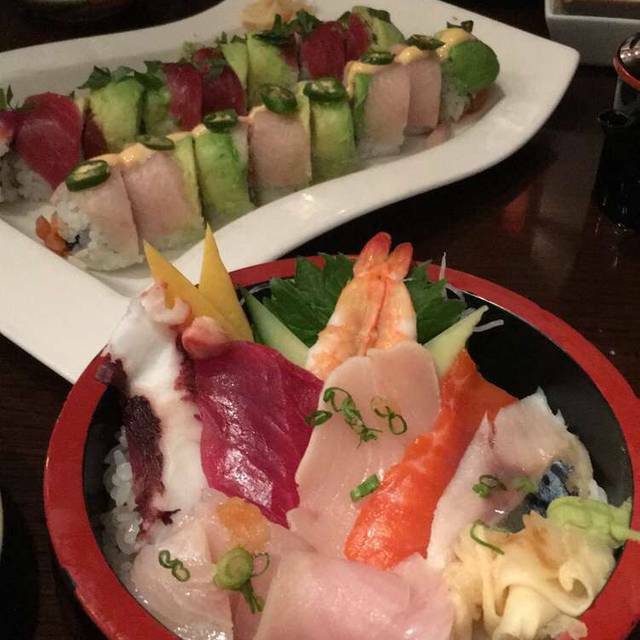 We invite you to come down and enjoy the best sushi in Minneapolis. 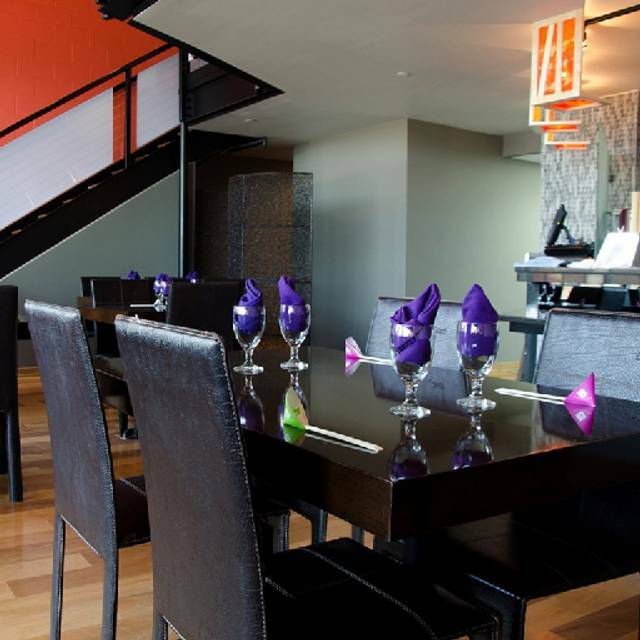 Origami is a great place to have a party for special occasions, business luncheon, casual dinner, or if you want to just stop and have a bite at the sushi bar! Origami Uptown also offers Happy Hour Sushi and drink specials daily! We have completed the extensive build out of our restaurant location in the Mosaic building right next to the Lagoon Theater in Uptown Minneapolis. (Unagi Rice Box) Grilled freshwater eel served in a "ju bako"
It was superb. Good service, thoughtful prep and the ramen was surprisingly good. Excellent mix of Americanized flavors and authentic Japanese. Highly recommend. Many options for sushi, excellent tempura, great service. Love this place and everything is good but the origami special fried rice is outstanding! Great sushi. Lots of cold air flooding in from the grub hub/delivery entry. Loved the food. Helpful staff. Most enjoyable lunch. Great happy hour that was happening all day on Sunday when we were there. Great sushi options. You can tell it is very fresh. Food was exceptional and the staff was attentive and wonderful, per usual. Thanks for a fantastic last meal of 2018!! My boyfriend and I first met here a year ago and have decided to make coming to Origami a romantic tradition. It has lovely options for sushi that aren’t found elsewhere, and the atmosphere is extremely sultry. I’d rate it 100 stars if I could. We visited yesterday for the first time, celebrating my son's 15th birthday. He wanted to to try someplace new - he loves sushi from our Hudson Wi restaurants and he wanted to try Ramen. We chose Origami based on other great reviews. We thoroughly enjoyed all of our dishes - the soft shell crab appetizer, the Spicy Tuna and Dragon sushi and our noodle bowls. Our server, Tomo Leopard was EXCELLENT. A refined gentleman and very professional- the kind of server you always hope for but rarely are lucky enough to have. He topped off our great meal with a complimentary birthday dessert for my son, a big hit. Thank you! We'll be back! The BEST sushi in Minneapolis. Highly recommend!! I love this place so much. I'm picky when it comes to sushi—low tolerance for Cali rolls and avocado stuffed in everything. You can get that here if you want, but the fish is excellent, fresh, and not dressed up if you don't. Fawn did a nice job of welcoming us and making us feel special. She didn’t rush us and gave us some good suggestions. Food was delicious too. Thank you! I went because my boyfriend loves sushi and it was his birthday. I wanted to take him somewhere special and something that will taste amazing. So I looked up some of the best sushi restaurants in the city and this by far exceeded my exceptions. The staff was beyond friendly and helpful. They made sure to answer any questions we had and asked about the the food. They genuinely seemed to care. Origami is a place my wife and I can absolutely count on as a special place for dinner and great food. Highly recommend it! The food at Origami is consistently good and the drinks are great. However, the service can be slow, especially when it comes to getting drink refills. We went here for dinner before a show. The service was... weird. The staff seemed almost bummed out, and the service was generally slow. When we were seated, they warned us that "due to how busy" they were, they could only offer us one menu, but would try to get us another if we really needed. We said it was find, but it struck as as odd, since there were several empty tables; the place felt barely half full. We ordered the edamame, some kind of deep fried fish that I cannot locate on the online menu, and the tonkatsu ramen. The edamame was a small amount, and not very hot. Not cold, just not hot. The deep fried fish was basically a fancy fish stick, and the ramen was underwhelming for the price, especially when compared to someplace like Ramen Kazama. Overall, I was unimpressed by the service, ambiance, and food. With Minneapolis being such a competitive place for food, I would likely not dine here again. Always love origami, sushi is great, best in the Twin Cities! Excellent quality. Able to have conversation without yelling. Will definitely return. Delicious and fresh. Espresso Martini was out of this world. Great Birthday celebration! Loved the shrimp dumplings, the sake, and all three specialty rolls. Our server was a rockstar! She had the entire upstairs on a busy Saturday night and didn't miss a beat! The hot towel was such a bonus. I love coming here with friends before a movie at the Lagoon or drinks in uptown. Love it! Sushi and fried octopus were very good, but portions were a bit on the small side, particularly the rainbow roll. Solid and easy access to the Lagoon Theater. Service was authentic but a bit slower than you’d want given location, although very accommodating when we sought them out. Very good food. Great service. My water never fell below 20% which was amazing since I chug water like no tomorrow. Food was really good as well. Highly recommend. We enjoyed a happy hour dinner before attending the theater in Uptown on Saturday - great sushi, selection and prices - also great service. One of our new favorite places for sushi! We’re Japanese, food was good, those were the same level we ate in Japan. Unfortunately, a waiter man attitude was bad and ruined our dinner. I don’t want to be never served by the man. Fun to sit at the sushi bar, good sake options, they were out of the only non-ice cream dessert they have though and that was a bummer. We sat up at the bar and had quick service from the bartender right off the bat. We were one of two couples at the bar. After ordering our food, we had to flag down the bartender each time we wished to order another drink, etc. He seemed to be preoccupied chatting with the other couple at the bar. It appeared they were friends. We also had to ask about our appetizer (miso soup), which he appeared to have forgotten so it came out the same time as our dinner. Unfortunately, we will not go back. Origami has the best Sushi in the State. Service is great too. Service was quick, servers are friendly and our glasses were always full. Loved it. I went for the sushi and was not disappointed. It was fresh, well presented and flavorful. A friend recommended this place to me. I did my research of the place. I studied the menu, looked like authentic sushi and was really satisfied with what I was looking at. So I decided to check it out. It happend to be me and my Girlfriend 1 Year anniversary. I booked a table. When I got to the place i right away liked the vibe. The decor was fantastic. Every staff member was dressed elegant. They were friendly and they offer a spectacular service. When I sat down they right away served us water. They gaved us the menu. I check it out thoroughly and was really happy with what it had to offer. Most places don't offer Bluefin tuna but Origami Did! And the price for it was fair enough. After we placed our ordered, they gaved us wet towels to wash our hands. I was happy with that gesture. It really gives values to the place. We ended ordering Spicy Tuna rolls, the crunchy rolls, I ordered a spicy miso and my Girlfriend order the nabe yaki udon. And finally I ordered I single Bluefin nigiri. The spicy tuna rolls were amazing! They melted in your mouth and had so many flavor! The crunchy rolls were spectacular! The color and presentation about it was satisfying. The spicy miso and the nabe yaki udon were so delicious and flavorful. The only problem was that they both didn't come with the fish cake and they only had 1 piece of meat. I was so satisfied with the flavor of the soup that i didnt bother complaning because it was so good i didnt want to ruin my experience fpr a little mistake. Overall i reallt love the fokd amd disnt have complaints. It was a little bit busy when we were there so I understand things might slip here and there. I work in a fine dining restaurant. I'm a chef as well so I understand if it was the one time that they forgot. Either way I'm going back to try it again because i really loved it and I'm going to order the same soup. If I don't get the fish cake then I will know something is wrong and this time I will notify the staff. Overall wonderful. 45 minutes between apps and entrees. Explanation was that kitchen got ‘slammed’. Not buying it as tables arriving after us received there meals in a timely manner before ours arrived. What gives?